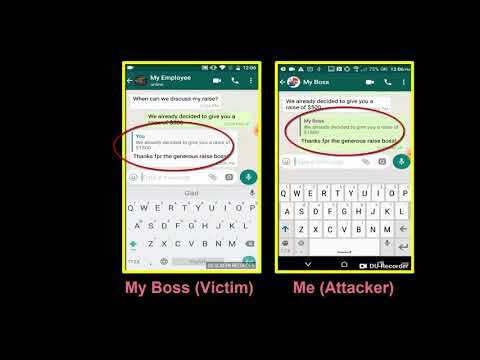 Check Point Research shows new vulnerabilities in the popular messaging application WhatsApp that could allow threat actors to intercept and manipulate messages sent in both private and group conversations, giving attackers immense power to create and spread misinformation from what appear to be trusted sources. 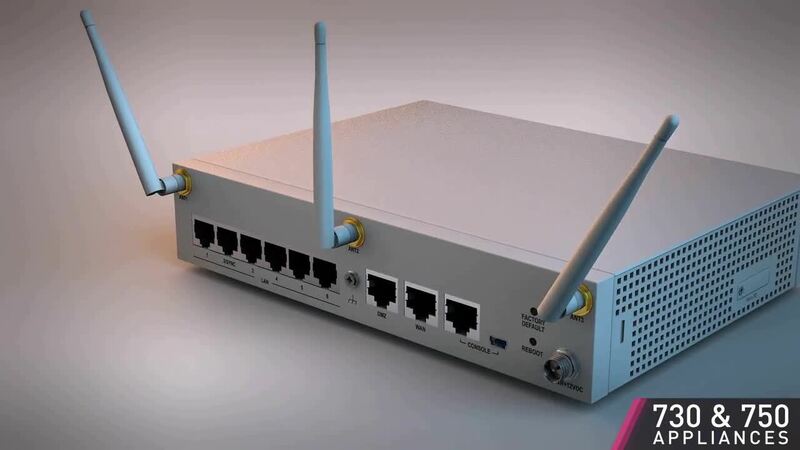 In a ground breaking new discovery, Check Point researchers show how cyber criminals could infiltrate any home or organization’s entire IT network using nothing more than a mere fax number. While fax machines may seem outdated, millions of companies and individuals worldwide still rely on it as a main method of communication to conduct their business. Read more at Faxploit: Sending Fax Back to the Dark Ages. 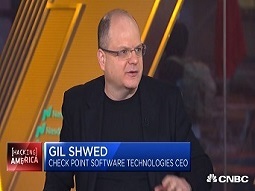 CNBC Squawk Box featured Check Point CEO & Founder Gil Shwed. 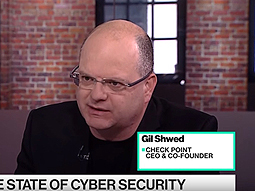 Gil Shwed discusses 5th generation cyber attacks. 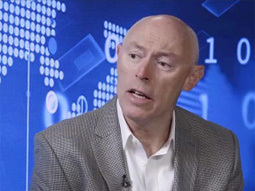 In this video, Donald Meyer, Head of Marketing, Data Center and Cloud, discusses top security concerns that IT professionals have regarding Cloud and Mobility security. In this video, you’ll hear from Donald Meyer, Head of Marketing, Data Center and Cloud, where he discusses issues surrounding Cloud security and how organizations can better protect themselves from vulnerabilities in the Cloud. 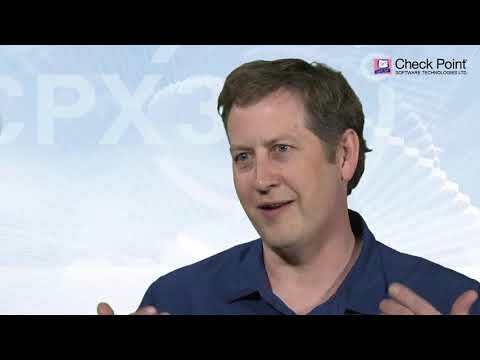 Amnon Bar-Lev, president at Check Point, explains how Check Point Capsule is securing people’s mobile data. 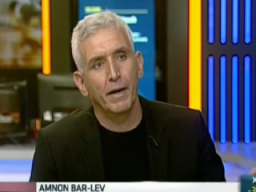 Amnon Bar-Lev, president of Check Point, discusses how to be more aware of cyber security and prepare for its ever-changing environment. 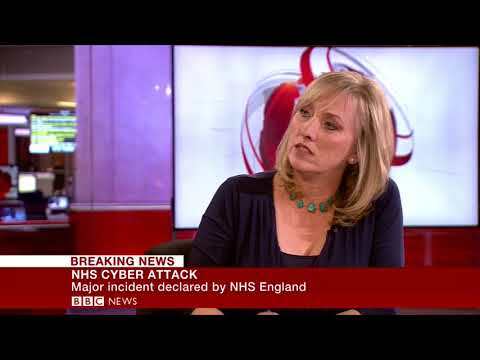 He discloses how businesses and consumers can prepare and protect themselves from malicious data breaches. 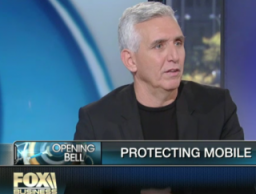 Check Point President Amnon Bar-Lev talks about creating awareness for cyber security in the wake of massive data breaches and how to build the right architecture to confront cyber security problems. 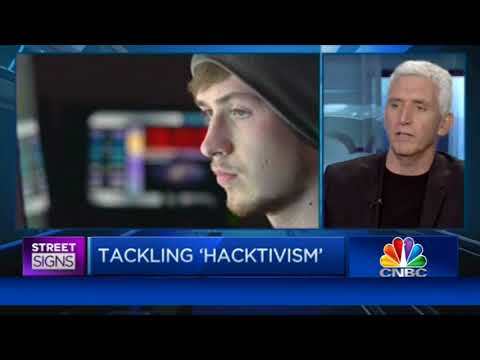 Check Point President Amnon Bar-Lev brings awareness on how cyber criminals are becoming smarter and a cyberwar could be happening this very moment and people might not even know it. Based on research of nearly 900 companies and 120,000 hours of monitored traffic, the 2013 Check Point Security Report reveals major security risks organizations are exposed to on a daily basis. Most importantly, the report provides security recommendations on how to protect against these threats. Kellman Meghu, Head of Security Engineering at Check Point speaks to The Biggs Radio Show about what cyber security threats we should look out for in 2013. 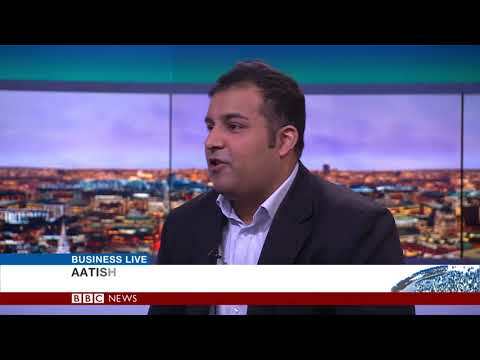 Following a press round table event held in London in December 2012, panelists looked at why trust is fundamental to security, and how organizations can prove that they and their employees can be trusted. 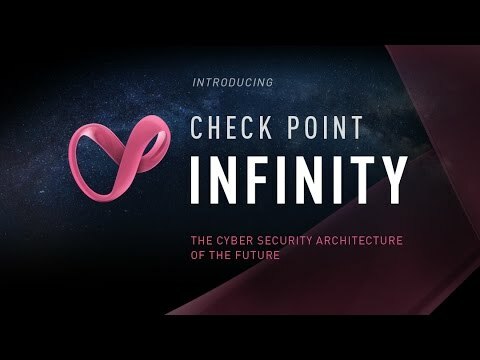 Check Point is excited to introduce two new products and technologies, which further expand our Infinity Architecture and portfolio of solutions for Gen V cyber security. 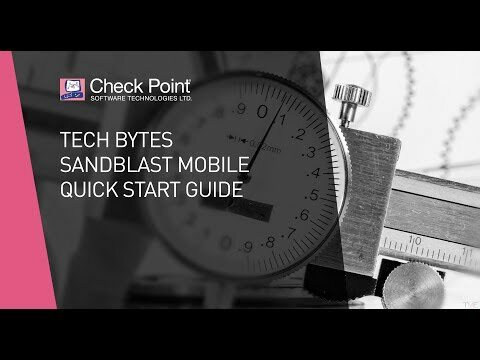 Learn about Check Point’s new 23900 Security Gateways and SandBlast Mobile 3.0. Utilizing the same security management tool across your hybrid cloud architecture can help your organization be more secure and agile. Maximize the strength of your security posture and capacity for innovation in cloud environments with CloudGuard, formerly vSEC. 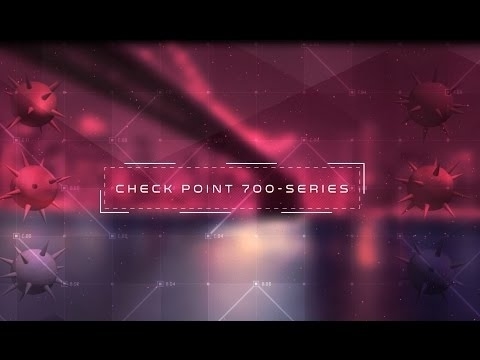 The Check Point 600 provides a complete security package with firewall, VPN, antivirus, intrusion prevention and more, at a price your small business can afford. Understanding your exposure to threats—and what you can do about it is not only responsible business management—it’s critical to business survival. Turn Security into an Enabler, Not a Disabler. 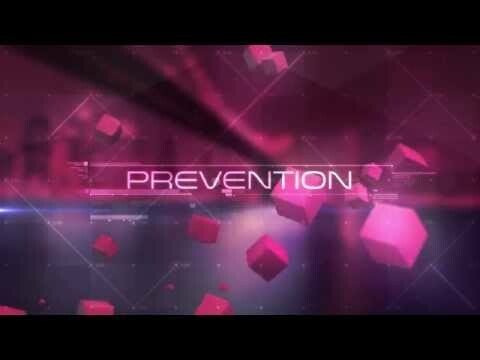 Check Point offers network infrastructure security, antivirus firewall solutions, data security solutions, and advanced threat prevention, including software defined protection for retail, financial services, critical infrastructure, private and public cloud, telco service providers, software defined network and governance, risk and compliance. We secure the future with industry leading security software and appliances for Threat Prevention, Mobility, Firewalls, Security Management and more. 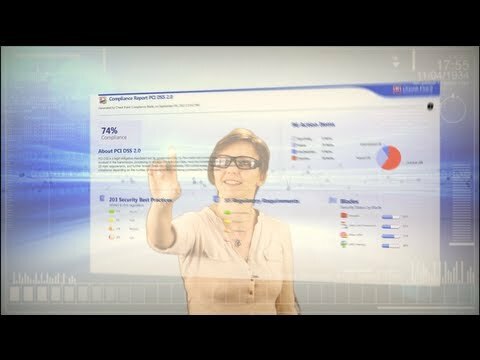 Check Point’s new DLP Software Blade combines innovative technology with a unique approach that blocks intentional and unintentional data breaches and educates employees in the process to help prevent future incidents. 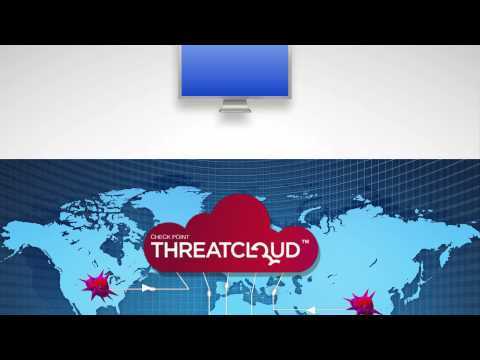 In 2012, Check Point established ThreatCloud, the first collaborative security infrastructure to fight cybercrime. ThreatCloud dynamically reinforces Check Point Threat Prevention Software Blades with real-time threat intelligence derived from Check Point research, global sensors data, industry feeds and specialized intelligence feeds from the ThreatCloud IntelliStore. To address today’s EVER-CHANGING threat landscape, Check Point has introduced a MODULAR and dynamic security architecture that envisions a THREE-LAYER infrastructure that provides operational RESILIENCE and real-time, PROACTIVE protection. 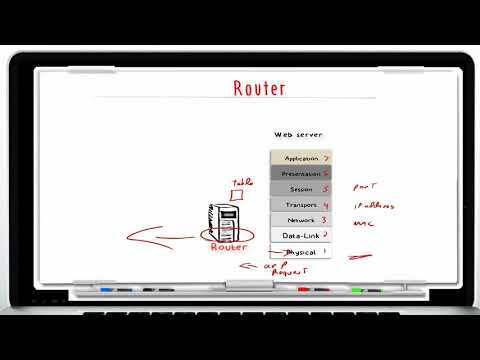 Are you trying to secure Web 2.0 with 1.0 tools? The Web has evolved, threats have evolved, so should your Web Security! 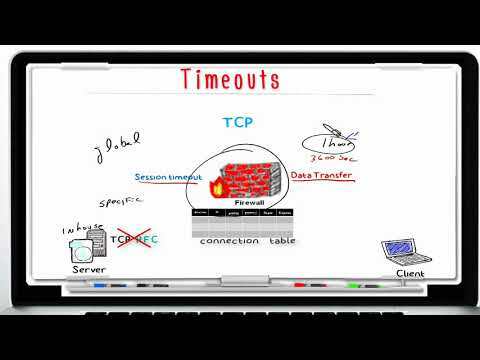 In this video, learn how to best protect against today’s web-borne malware and help businesses to get the most out of Web 2.0. 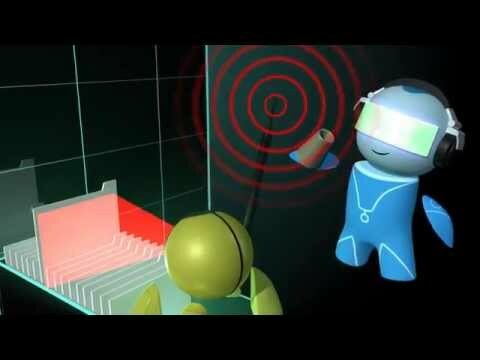 Check Point Anti-Bot video demonstrating how the Anti-Bot software blade protects organizations against bots and botnets. How Protected Are the Documents You Share? 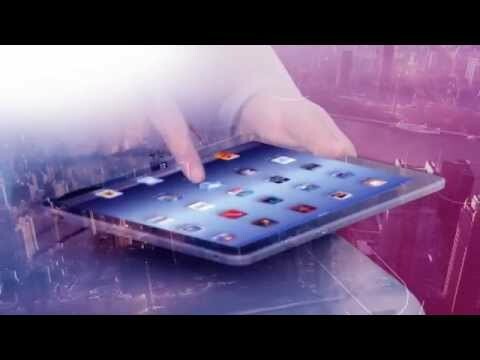 Mobile Security Revolutionized – Seamless security that goes where you go. 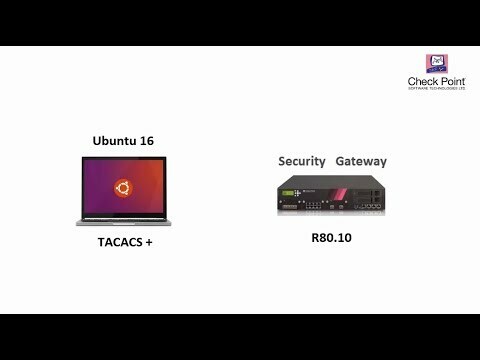 Watch our tutorial on how to setup our 600 Appliance, Check Point’s latest edition to the product family to protect small businesses against the latest cyber threats. What questions should you ask to help with choosing the right next generation firewall? 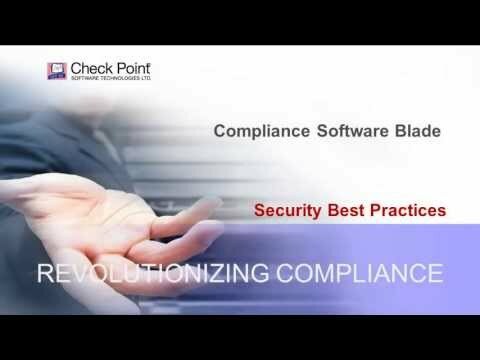 This is the third video in the Compliance Software Blade Demonstration Series. 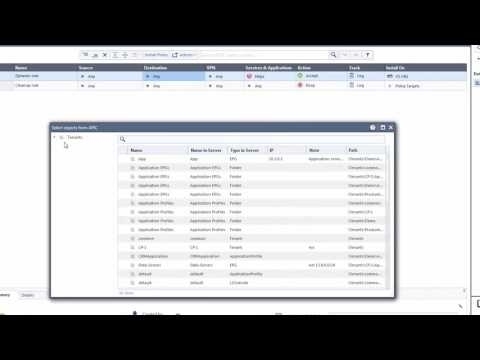 See how the Compliance Software Blade can help you easily review your regulatory compliance status, and quickly prepare detailed reports for major regulations and standards. Keeping a close eye on security and compliance is a challenging task. The Compliance Software Blade can be your second pair of eyes to constantly monitor your security status, save time in preparing audits and compliance reports, and detect and prevent security violations in real time. 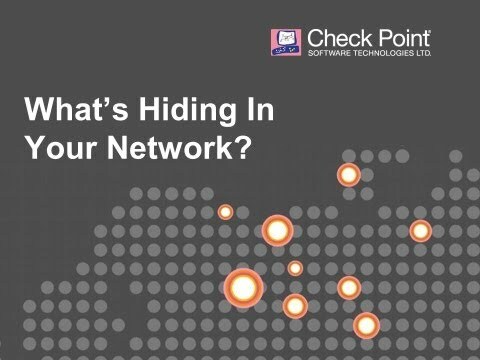 Do You Know What’s Hiding in Your Networks? 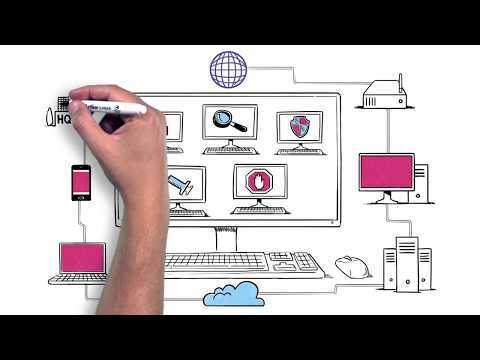 This video summarizes the analysis and findings in the Check Point 2013 Security Report. 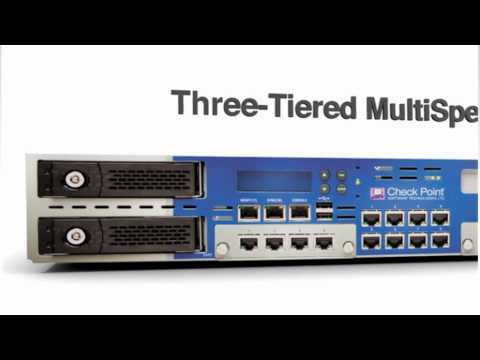 Why Multi-Layer Security and how Check Point’s Software Blade Architecture is the most secure and scalable solution in this market. 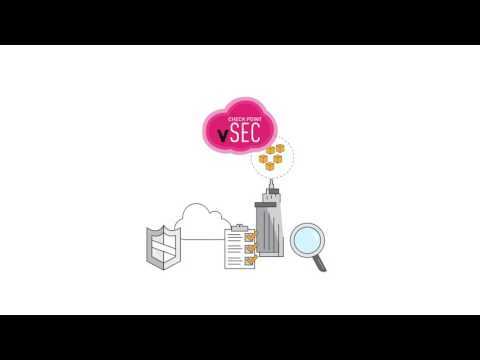 Introducing Check Point ThreatCloud, the first collaborative network to fight cyber-attacks. 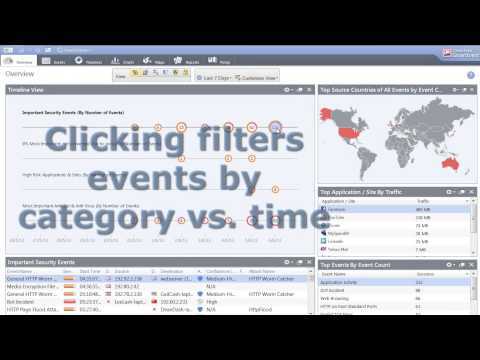 Are you tired of managing security by manually searching through millions of logs to find the information you need? There is a better way! 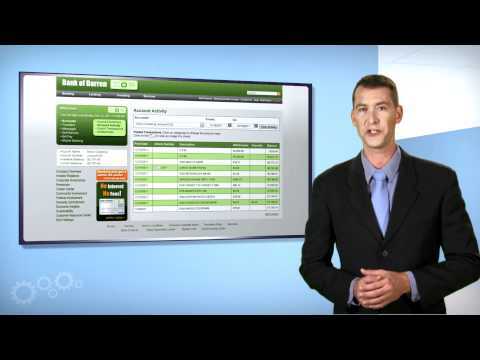 Watch this SmartEvent Video to learn how to manage your security more efficiently. 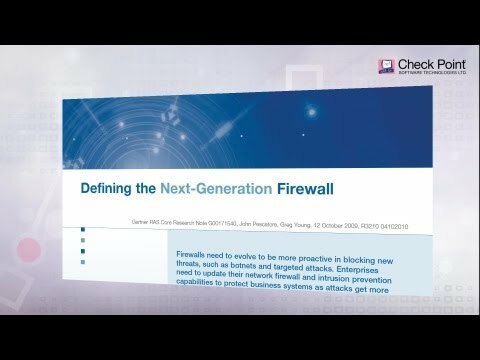 What is a Next Generation Firewall, where did the term come from and why Check Point is leading this market. 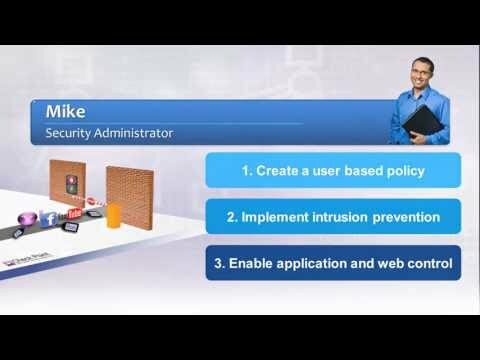 See how security admins can easily create granular policies—based on users or groups—to identify, block or limit usage of over Web 2.0 applications and educate users on safe Internet use with our Next Generation Firewall. 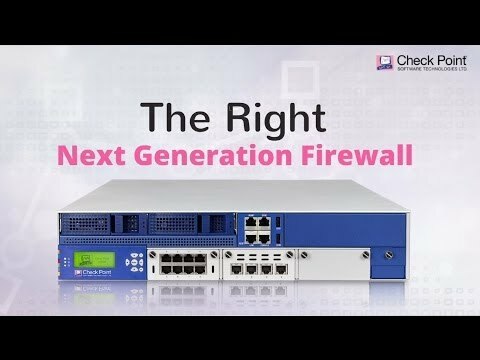 Check Point is excited to have received top awards from respected industry sources and certification bodies for its Next Generation Firewall, IPS and Threat Prevention Appliance products. 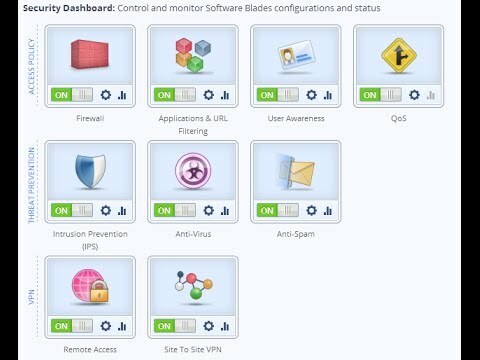 Introduction and overview to the Compliance Software Blade and its features and functions. 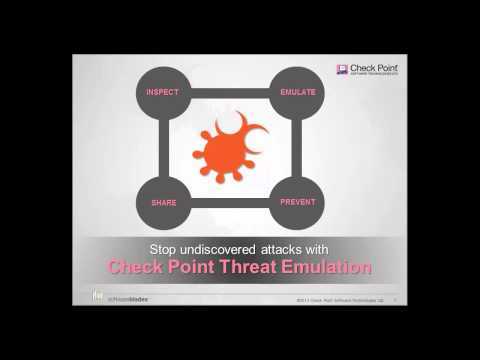 Check Point’s Threat new Threat Emulation Software Blade prevents infections from undiscovered exploits, zero-day and targeted attacks. 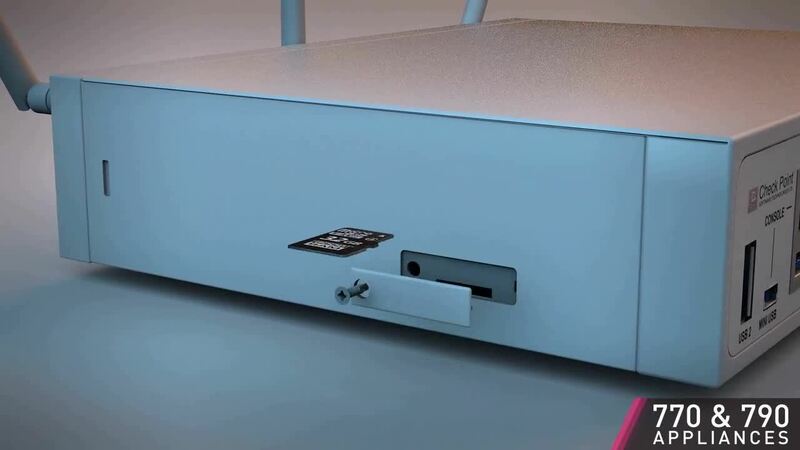 This innovative solution quickly inspects suspicious files, emulates how they run to discover malicious behavior and completely prevents malware from entering the network. Check Point Threat Emulation also immediately reports new threats to Check Point’s ThreatCloud™ service and automatically shares the newly identified threats with other customers. 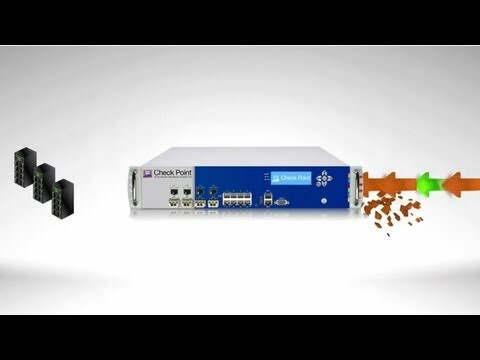 Overview of the Check Point 61000 Appliance with Japanese subtitles. 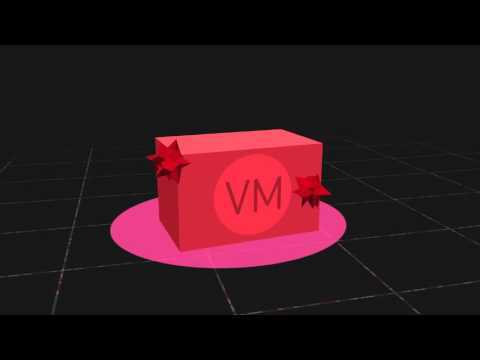 Animated video demonstrating how the Check Point Anti-Bot software blade protects organizations against bots and botnets. Check Point GO instantly turns any PC into your corporate desktop, allowing users to access files and applications anywhere, anytime. Its plug-and-play USB form factor allows users to easily launch a secure virtual workspace that keeps mobile data secure by segregating the virtual workspace from the host PC. Users can work offline from the encrypted USB drive or online using the Check Point GO integrated VPN client. 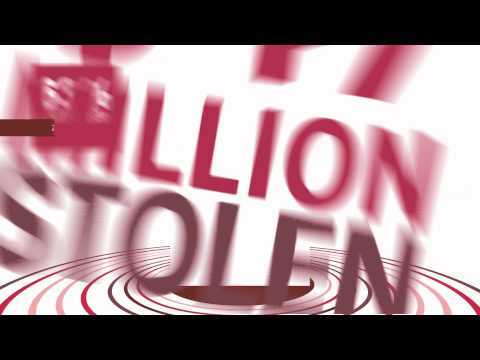 What is an Advance Persistent Threat? 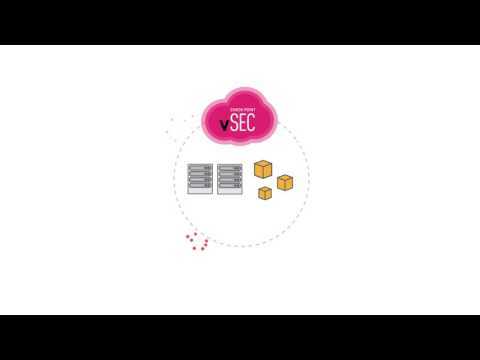 This video provides a close look at Check Point’s SSL Inspection technology, which allows Check Point’s advanced security functions — including Application Control, URL Filtering, IPS, DLP, and more — to analyze the contents of encrypted network traffic, giving your organization even stronger protection from both external and internal threats. 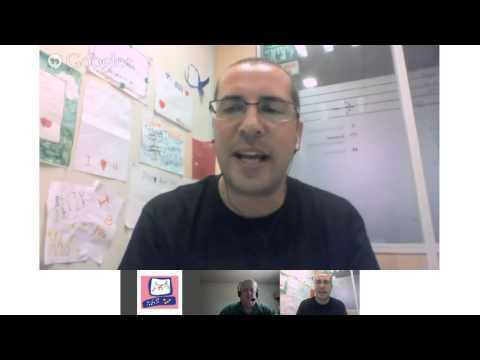 On June 18th, 2013, Check Point’s in house #regulations and #compliance expert Jeremy Kaye spoke with Dameon Welch-Abernathy live in our first Google+ Hangouts on Air. This was an opportunity to hear some of the challenges your peers are facing with compliance and regulations and how experts like Jeremy are handling such issues. 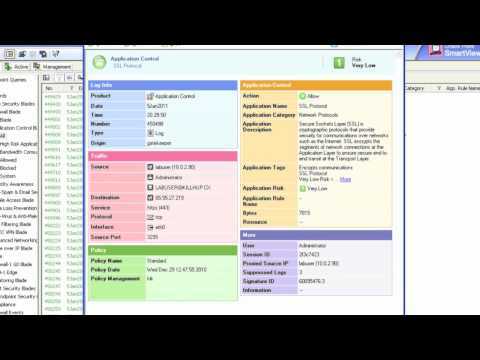 This is the second video in the Compliance Software Blade Demonstration Series. 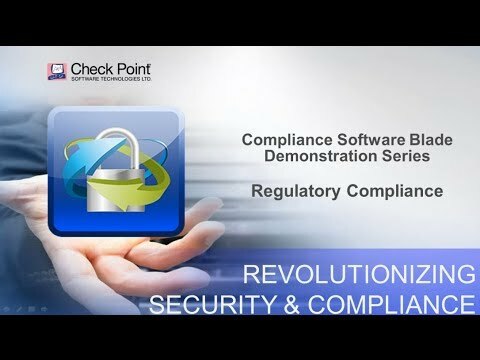 This video provides insight into aligning both security and compliance to security best practices. 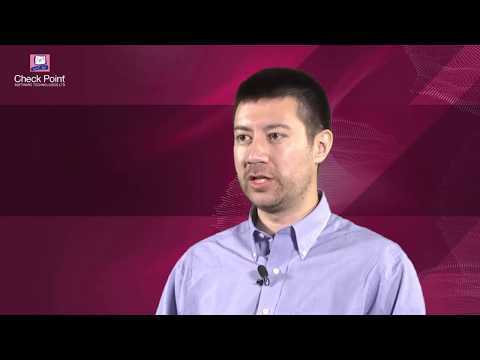 Alon Kantor, Corporate Development Architect at Check Point talks about the threat of distributed denial of service attacks and how to protect against them. Banergio chooses Check Point SandBlast and R80.10 Security to Better Safeguard Customer Assets and Information. With more than 130k residents in Minnesota depending on Connexus Energy to deliver electricity 24 x 7, IT security is critical. When looking for a solution, Connexus needed a solution that worked well in both hot, humid or below freezing conditions. 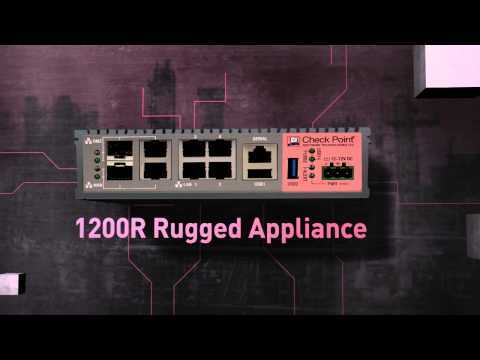 In the end, the Check Point rugged appliance 1200R was the perfect choice for them since it could easily meet these criteria – and secure operational data throughout their network. Additionally, the company implemented Check Point R80.10 security management and gained unified management, concurrent administration and a single pane of glass to monitor their entire threat landscape. For the “NASA of Europe,” securing sensitive data is a top priority where protection from 5th-Gen attacks is essential. After obtaining the newest generation of CheckPoint firewalls with the 64k package, the European Space Agency was able to relax knowing that their information will stay safe from outside threats. As a leading West Coast provider of emergency health services, this Public Health Service organization has over two million patients and runs over 90 locations, with two major trauma and rehabilitation centers. 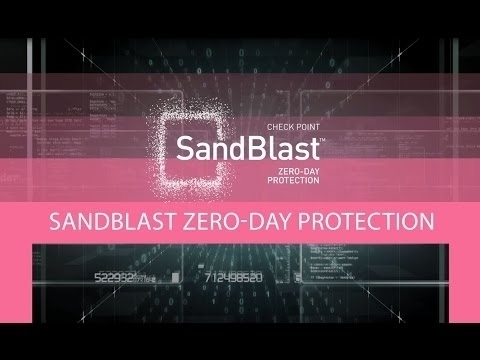 They chose Check Point SandBlast Zero Day Protection because they appreciate SandBlast’s ability to prevent attacks, not just detect them, and use it in-line to block threats in their tracks. 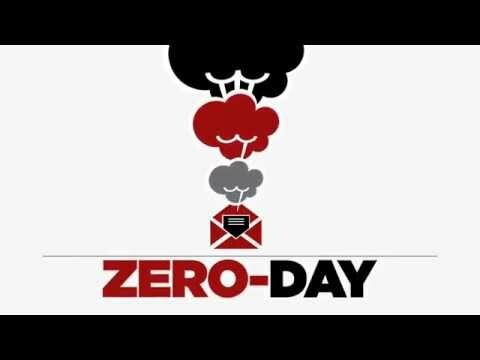 Seeking to modernize its security infrastructure, the Mississippi Secretary of State upgraded to Check Point SandBlast Zero-Day Protection and now prevents ransomware attacks and enjoys peace of mind. Leading Global Asset Management Company secures its private cloud with Check Point vSEC for NSX, gaining agility, micro-segmentation capabilities and single policy use across both on-premise and cloud. A leading private equity firm with great success in the often unpredictable energy industry, Denham Capital needed to move to the cloud without compromising performance or security. 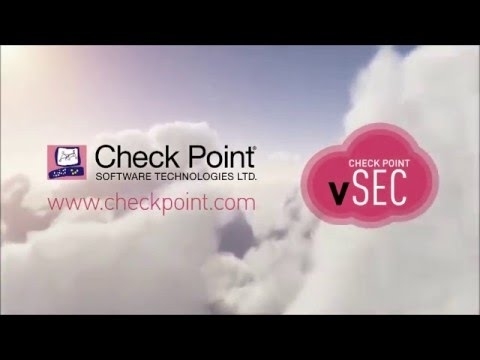 With Check Point vSEC, Denham found a solution to seamlessly and securely migrate their data to the cloud and gained enhanced visibility in the process. Koch Media develops games globally, which is a process fraught with peril to the intellectual property in their games. Koch sought to replace Cisco and decided on Check Point SandBlast Zero Day Protection to crush advanced attacks. Daymark Solutions, trusted advisor to businesses in the Northeast, implemented Check Point CloudGuard (formerly vSEC) for Microsoft Azure and now recommends it to all its customers for ease of use, comprehensive visibility and threat prevention. Appvion, a manufacturer of specialty papers, tested R80 security management during development and now uses it every day to gain efficiency, high visibility and concurrent management capabilities. To help ensure safe operation of its pumping stations and other key systems, the Hunze en Aa Water Resource Board implemented NGTX appliances with SandBlast Zero-Day Protection. Through the solutions centralized management, the board gained excellent visibility into the organization’s network and into the SCADA environment. Community Newspaper Group‘s seventeen newspapers provide readers with the latest in local news, sports, and entertainment in Perth, Australia. As a publishing outlet, it’s critical for Community Newspaper Group to keep its reporters and employees endpoint devices protected in order to keep their data safe, get news out to readers in a timely manner and keep business running without any downtime. Learn more about our SandBlast Agent Endpoint solution. As the research arm of an industry-leading manufacturer of consumer electronics, Samsung Research America is committed to forward-looking innovation and bringing new products to market ahead of competitors. 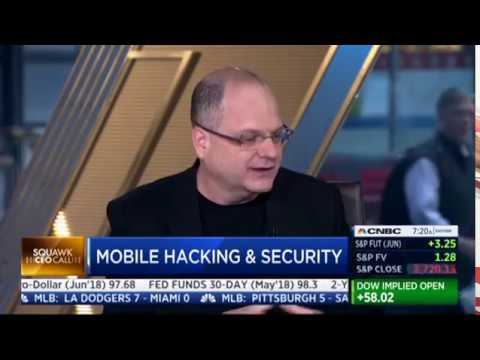 Samsung Research America achieved 100% protection for iOS and Android mobile devices, calling Check Point Mobile Threat Prevention as the best zero-day malware protection possible for mobile devices. 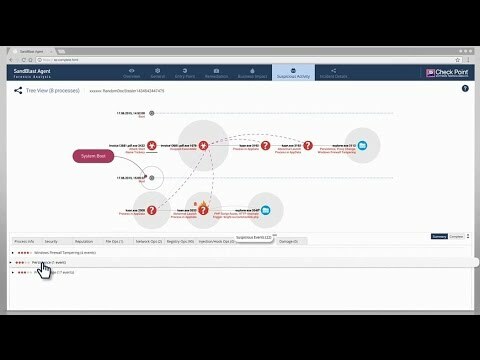 Integrations with Airwatch by VMWare and Splunk improved visibility and automate policy enforcement. 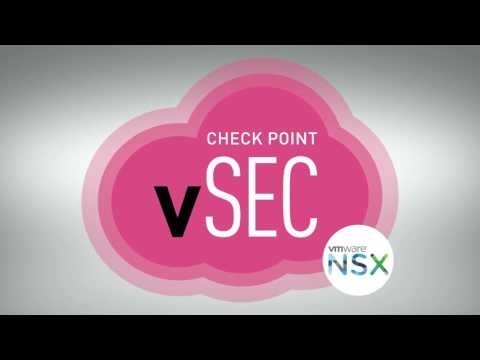 Check Point Partner Round Tower shares a CloudGuard, formerly known as vSEC, success story highlighting the features and benefits of CloudGuard for VMware NSX advanced security for the Software-Defined Data Center. 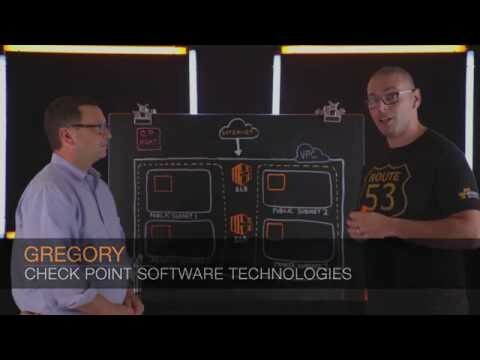 Check Point CloudGuard integration with VMware NSX delivers dynamic orchestration of advanced threat prevention for all traffic in the Software-Defined Data Center. 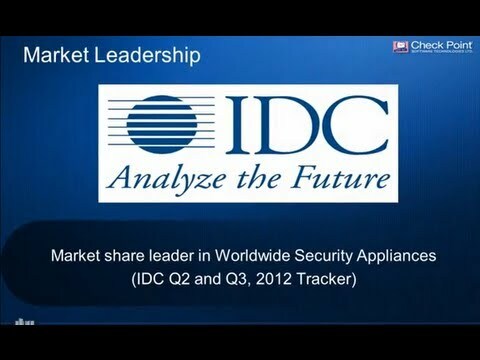 Read more on our CloudGuard Private Cloud IaaS Security. For over 150 years, Helvetia has grown into a successful international insurance group with a wide range of services. 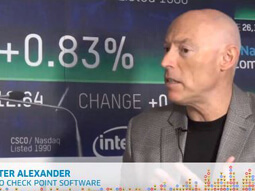 Andreas Hagin, Head of Corporate Network & Unified Communication Engineering at Helvetia, discusses the importance of IT security and how Check Point CloudGuard, formerly known as vSEC, meets the needs to support Helvetia software-defined data center strategy with VMware NSX. Talisys, an innovator in financial securities processing software, leverages R80 to reduce security management complexity. Building on Check Point’s leadership in speedy root cause analysis, they appreciate the increased visibility and multiple concurrent security capabilities R80 offers. 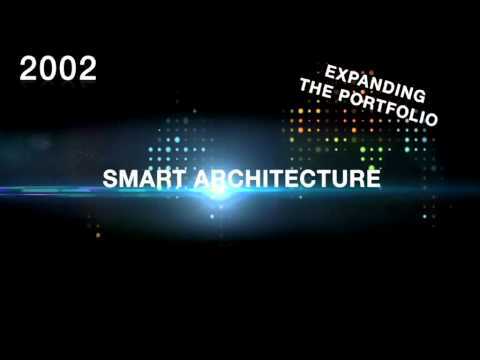 Learn more on R80 Security Management. Hotel Nikko relies on its network to support guest services, reservation systems, property management and other critical business operations. 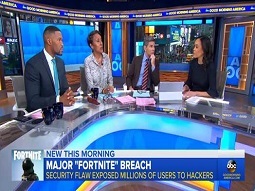 Keeping the network safe and secure is key, and even a brief outage means lost revenue, disappointed guests and damage to the hotel’s reputation. 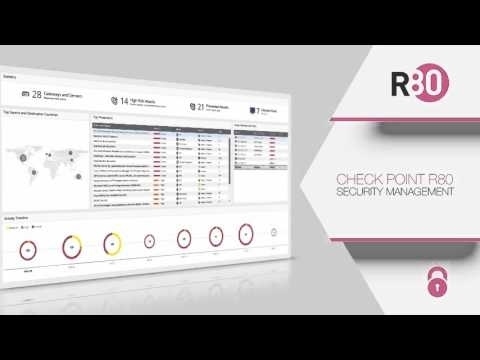 Director of IT Manuel Ruiz discusses his experience with Check Point’s security solution in eliminating network downtime. 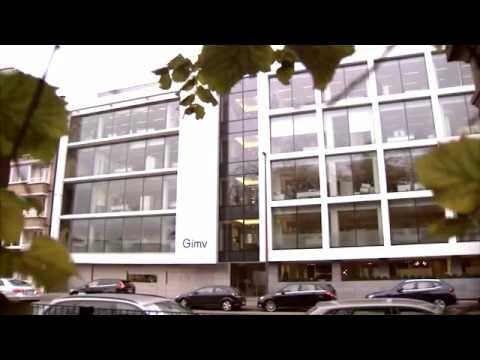 Gimv, a leading European private equity and venture capital investment company, leverages Check Point ThreatCloud Emulation technology to prevent against zero day attacks. 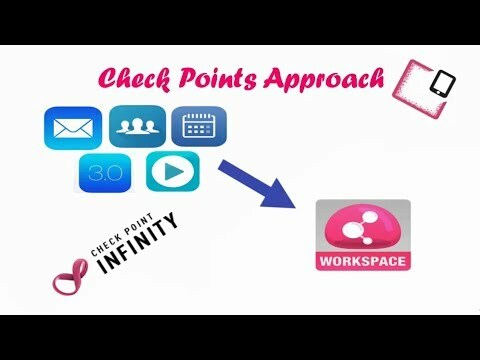 IT Manager Kristof Poppe discusses his experience with Check Point in this customer success video. 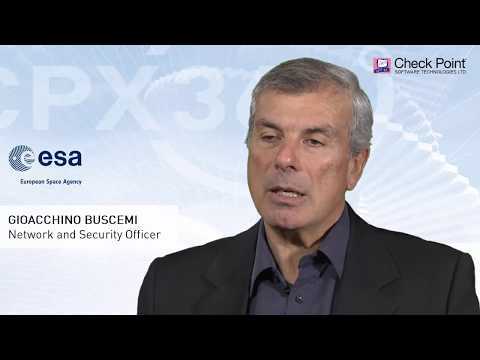 AlmavivA, Italy’s top Information & Communication Technology provider, describes how Check Point Technologies protects the organization’s infrastructure. 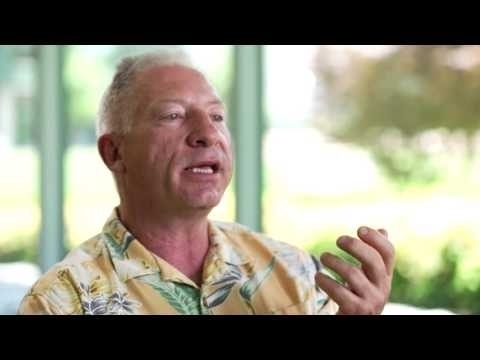 Check Point customer Joe Honnold, senior network engineer, Starkey Hearing Technologies, explains how security is absolutely critical to their success; shares his thoughts on Software-defined Protection (SDP) and discusses why he’s a Check Point fan. The University of Liege in Belgium selects Check Point to help mitigate security issues around areas like BYOD and the increasing need for bandwidth. 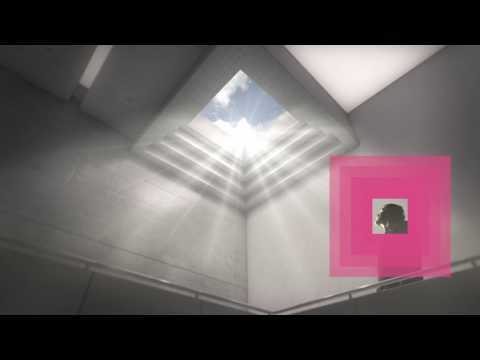 With Check Point’s 12600s and 12200s appliances in the data center and 2200s for its branch locations, the University “future proofs” its firewall deployment, improves management and increases throughput by 500%. 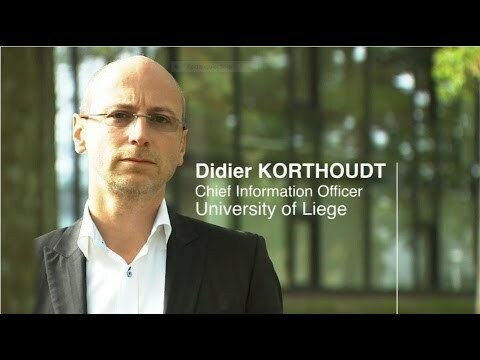 Watch this customer video from Didier Kourthoudt, CIO, and Simon Francois, CISO, both from the University of Liege, to learn more. 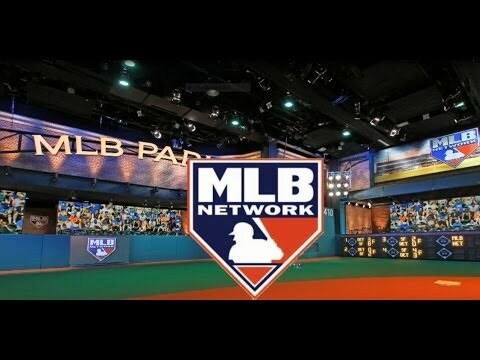 The MLB Network turns to Check Point to help launch the cable network and achieve 100 percent uptime. Check Point’s easy, flexible and scalable security solution enables the MLB Network to maintain zero downtime and address the needs of its viewing fans in 70 million homes. Watch this customer testimonial video from Cindy Cortell, Director of IT, MLBN, to learn more. Access IT Group’s director of technical services Nathan Browne says Software-defined Protection (SDP) protects against non-previously planned for threats. 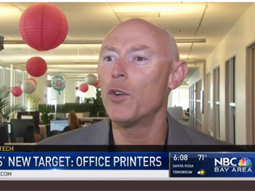 Watch for more on Nathan’s thoughts about SDP and what it means for Access IT Group’s customers. 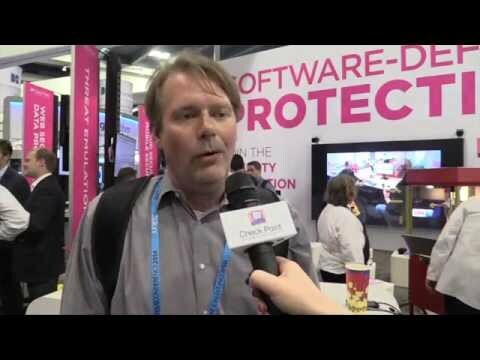 Check Point speaks with customers and partners at RSA Conference 2014 in San Francisco. 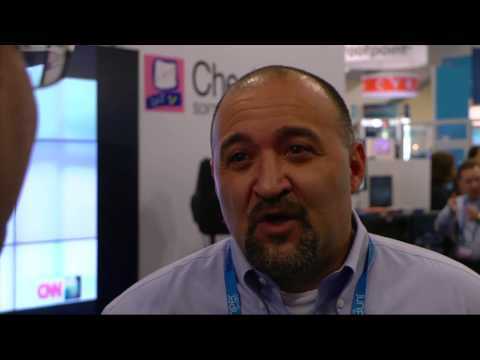 Watch as Joe Luciano of AccessIT Group shares why he’s is a Check Point fan. Customer Insights — Leon Johnson, CISO, Securities America, Inc.
Watch as Leon Johnson of Securities America, Inc. speaks about the critical need to secure data in the financial industry and how Check Point integrates disparate solutions to secure this data. He also shares what makes him a Check Point fan. 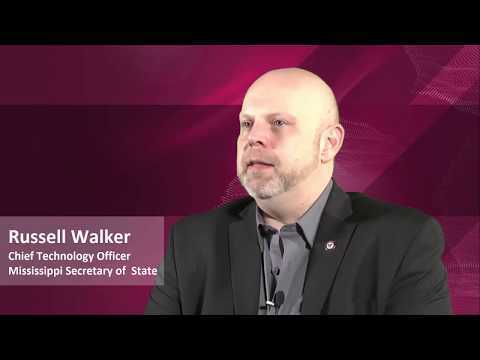 Watch as Ron Steffen of Sharper Technology shares why he’s is a Check Point fan. 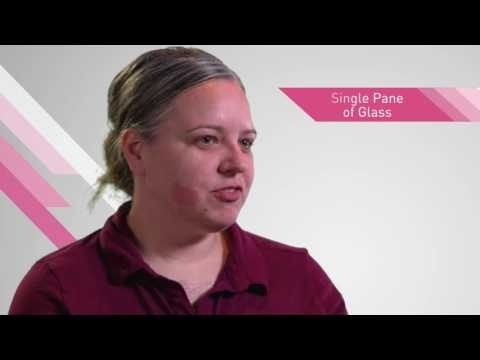 Watch as Heather Zalatimo of Dataway shares her thoughts about Check Point’s superior management capabilities and what makes her a Check Point fan. 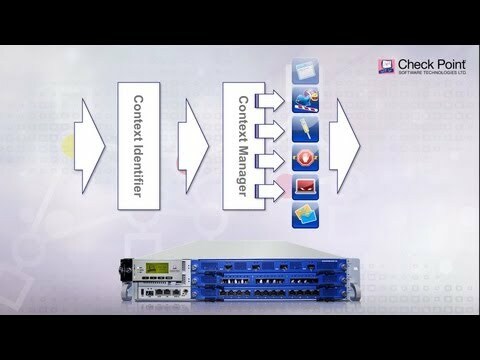 Watch as Jason Lawrence of Dataway shares insights about Check Point’s model of annualized service behind its software blade architecture as well as Check Point’s centralized management. He also explains why he’s is a Check Point fan. 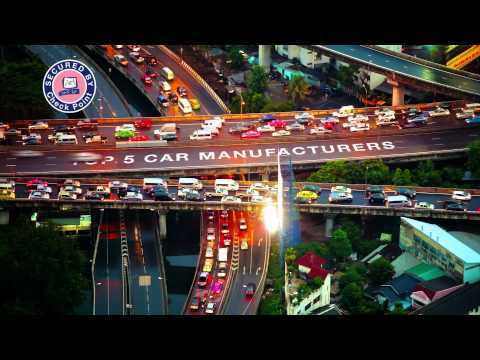 Watch as Ted Toribio of California Department of Motor Vehicles (DMV) explains why he’s a Check Point fan. 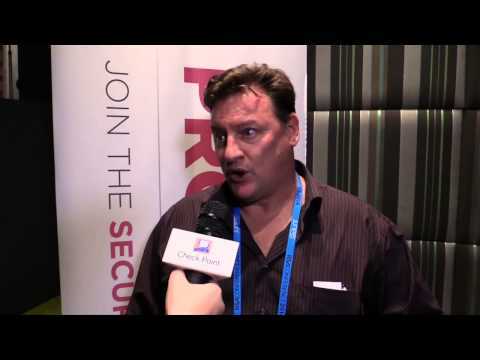 Watch as Carlos Olivera of FishNet Security explains why he’s is a Check Point fan. 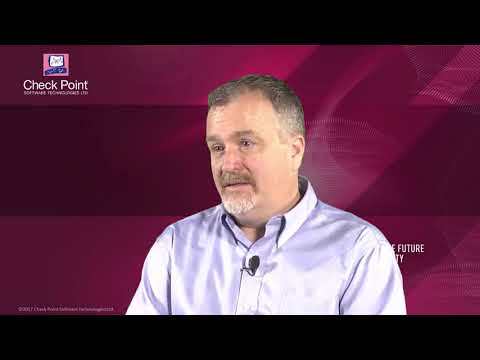 Watch as Greg Evilsizer of Contra Costa Community College District shares what makes him a Check Point fan. Watch as Christina Ebert of Avnet shares her thoughts about distribution and mobility as major issues her customers are facing. She also shares why she’s a Check Point fan. Customer Insights — Jaime Lopez, Director of Information Security, Verisight, Inc.
Watch as Jaime Lopez of Verisight, Inc. shares what makes him a Check Point fan. 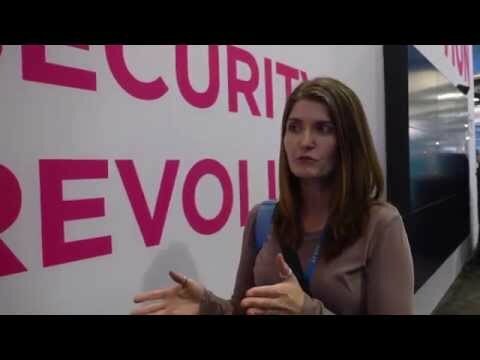 Watch as Shannon Rodelander of Blue Coat Systems speaks about issues like Cloud Security and Cost of Performance affecting her customers. She also shares why she’s a Check Point fan. 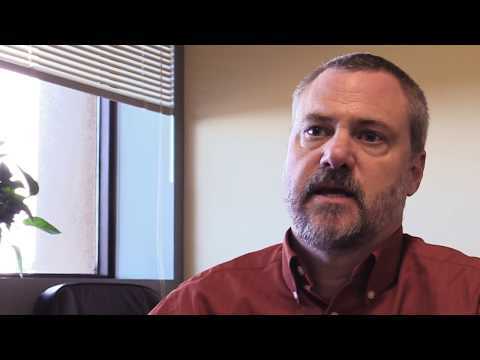 Watch as Michael Wood of HP Enterprise Services shares what makes him a Check Point fan. 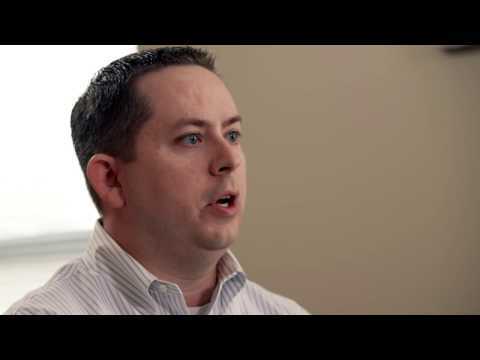 Watch as Joseph Royal of Leidos shares what makes him a Check Point fan. 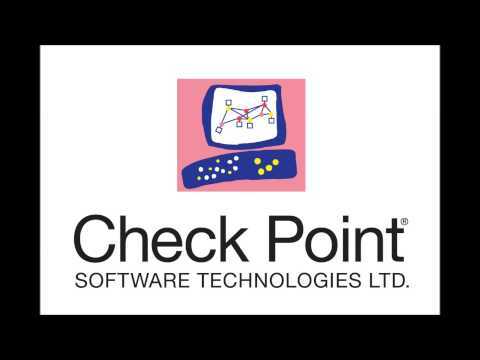 Watch as Wanjiru Allen of Florida Power & Light talks about Check Point’s management and ease of use. She also shares what makes her a Check Point fan. 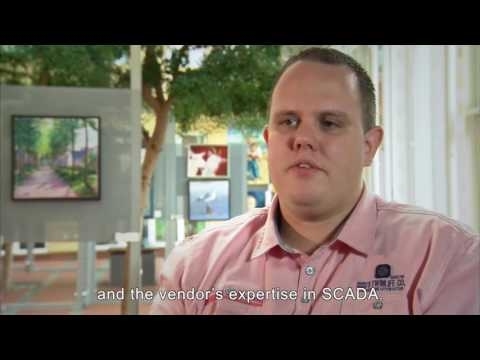 Watch as Eli Faskha of Soluciones Seguras shares how they are using Check Point solutions with their customers. 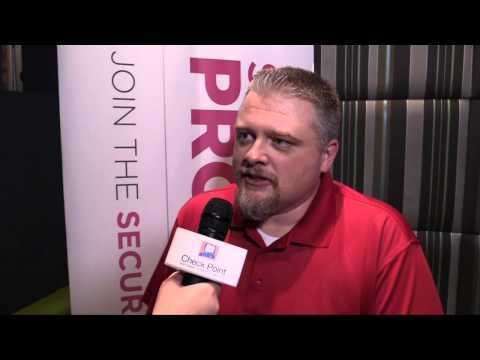 He also speaks to Check Point’s management and consolidation benefits and explains why he’s a Check Point fan.